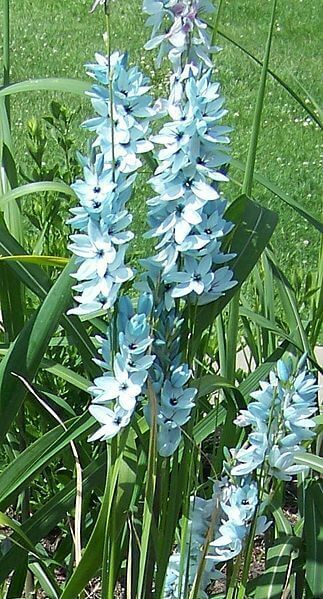 The genus Ixia consists of a number of cormous plants native to South Africa from the Iridaceae family and Ixioideae subfamily. Some of them are known as the corn lily. Some distinctive traits include: sword-like leaves, and long wiry stems with star-shaped flowers. It usually prefers well-drained soil. The popular corn lily has specific, not very intense fragrance as vegetables. That is why it's often visited by many insects such as bees. 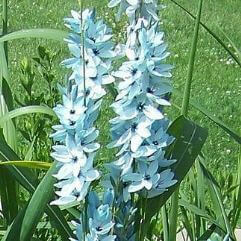 The Ixia are also used sometimes as ornamental plants. The genus name is derived from the Greek words ixias, meaning "the chameleon plant", and physis, meaning "bladder". We are amongst the few mail order nurseries that carry this plant as a regular line.